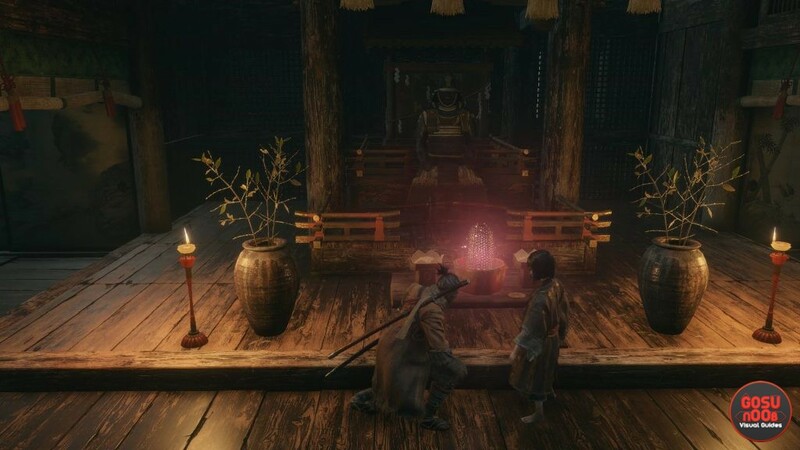 Fountainhead Incense in Sekiro is the end result of a long questline, and some people have been having trouble figuring out how to make Fountainhead Incense and where to find the ingredients. With that in mind, welcome to our Sekiro Fountainhead Incense Location – How to Make to show you exactly how to get the Fountainhead Incense ingredients, and everything else you might need. SPOILER ALERT before we get into the thick of it. We’ll be discussing some late-game content and major choices. How to Make Fountainhead Incense in Sekiro? To make the Fountainhead Incense in Sekiro, you’ll have to obtain three items first: The Shelter Stone, the Fragrant Flower aka Lotus of the Palace, and the Mortal Blade. Click any of those links for exact instructions on where to find those items. When you find the three Sekiro Fountainhead Incense “ingredients”, you’ll have a huge choice to make. You’ll notice that you now can’t transport to Kuro’s Room via Sculptor’s Idol. Instead, go to the Abandoned Dungeon Entrance idol, and clamber up to the large balcony near the door to Kuro’s Room. Who should be waiting for you there (SPOILER ALERT AGAIN), but the Great Shinobi Owl himself. Speak with him. When prompted, choose to abandon the Iron Code and stay loyal to Kuro. Otherwise, you’ll trigger the Shuro ending, and that’ll be the end of the quest. You’ll of course, have to then kill the Great Shinobi Owl. Once you get that off your plate, you’ll get a Memory of the battle, as well as the Aromatic Branch, which is the final ingredient for the Sekiro Fountainhead Incense. After you’ve killed the Great Shinobi Owl, go down and talk to Lord Kuro. If you haven’t reported to him during this quest, you might have to speak with him several times in order to deliver all of the items. At one point, Kuro will ask you to speak with Emma. You’ll find her in the room where you find Isshin at the start of the Mortal Blade quest line. Go back to Kuro, speak with Emma again, and then with the little lord again. He will concoct the Sekiro Fountainhead Incense, and, well… I won’t spoil what happens afterwards. We’ve revealed a bunch of stuff as is.